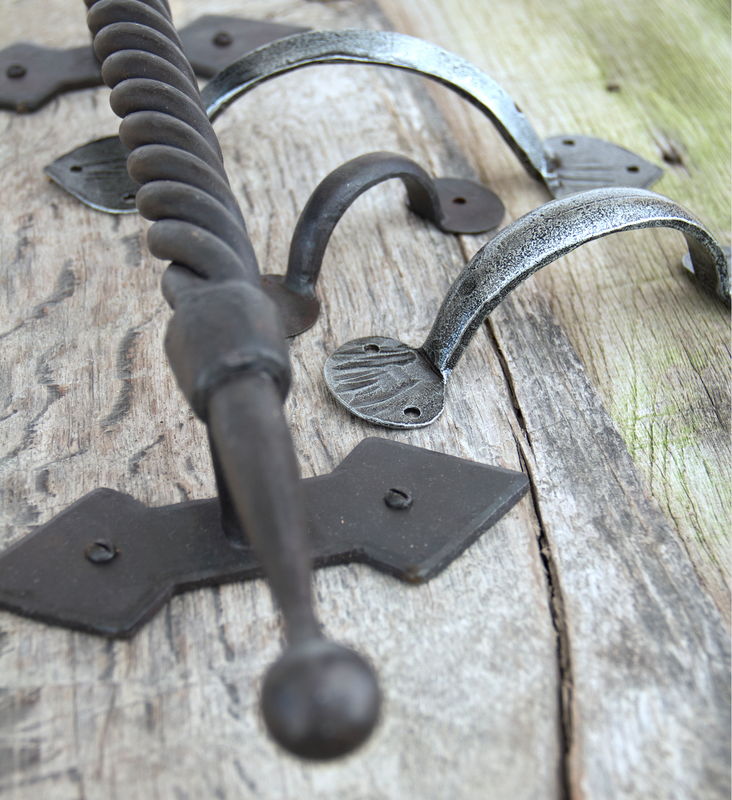 This range of Anvil pull handles is perfect to provide unique details when redecorating or renovating traditional houses, historical buildings, barns and cottages. This range has been hand forged by From the Anvil artisans and comes in a variety of finishes, including pewter, beeswax and black. Among this selection, we supply a variety of products, including gothic d handles, which are ideal for doors, cupboard doors and drawers; beeswax twisted robe pull handles, which can be used within the interior of properties (not suitable for external use), and black antique gothic pull handles, which can be used on interior and exterior doors. Suitable for cabinet and kitchen handles, we have available various door knobs and door handles, including natural smooth ribbed handles, small black hammered knobs, rosewood beehive cupboard knobs, pewter regency pull handles and black blacksmith plain drawer cup pull handles. Finally, our selection of From the Anvil flush handles is perfect for sliding-in wardrobe doors, bi-folding doors, pocket doors, as well as cupboard doors and drawer doors. We also supply beeswax maintenance wax suitable for From the Anvil steel products, in order to protect them and prevent them from rusting.